A community can be a complicated thing. Some of my friends in the field of rhetoric spend a lot of time arguing about what makes a group a community, and they often fall back on a few important points: it is a group of humans that defines itself through symbolic acts of conflict and discourse. These acts help the group to refine the values that make up a group’s identity. If that’s a bit too dry and academic for you, we can think of it a different way: we fight, but we make up. We talk about the things that create conflict, and this helps us agree on the things that really matter. These ideas might be better explained with a sports analogy (is there anything that can’t?). Pictured: community values and a love of things that go boom. When we play a game, we agree to compete with one another. We also agree to play by certain rules. These are community values: sportsmanship and competition. Each player has these two values in their mind when they step on the field for a game of Association Football or when they run the length of a starting line in a sailing regatta. Without these values in mind, we are just a bunch of people running around or colliding our sailboats. Competition is the means by which we test our limits and those of our neighbors. Yes, it’s a form of conflict, but without it, there can be little self-improvement. We need to understand these limits in order to rise above them. 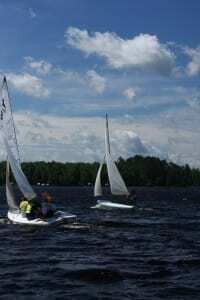 Sailrace is a great activity here at camp. It offers one of those environments where a camper can learn their own limits and push themselves through discipline and careful attention to their surroundings. 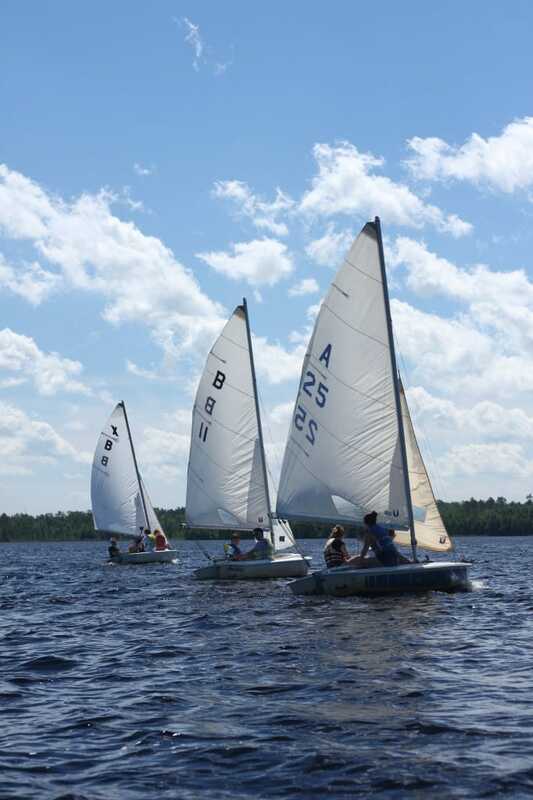 Unlike many other activities at camp, it is built on a basic level of friendly and direct competition. 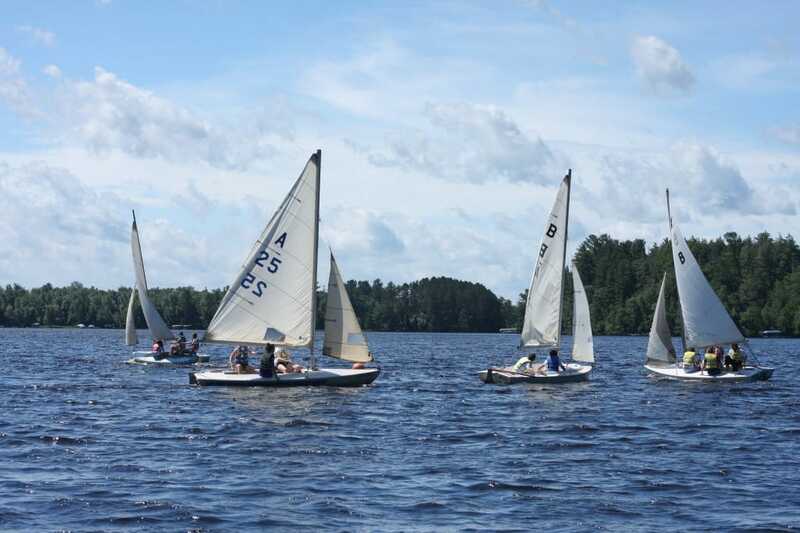 During a regatta, you can see the other racers and their crews. You measure your progress against them. This competition can breed some tension and some conflict, but the acting out of that conflict, the resolution of it, is what makes the sailing community such a strong and coherent community. Every movement out on the water counts towards or against you, so it is important to not only pay attention to what is happening around the boat, but also what is happening on the boat. Each boat is a community in itself: the crew members must agree to work with and for the skipper to make the boat move in a productive way, and each race raises conflicts of its own. There’s nowhere to hide on an x-boat. Campers are forced to compromise, to rely on each other’s strengths and shortcomings to form a team. And if it gets to be too much for them, it doesn’t last forever and they can sail with a different group the next day. That’s what I love about sailrace; it requires strategy, control, compromise, and competition. All of these are values that keep a community together. When I teach my sailors how to race, I teach them how to see beyond themselves, how to read the water and the other boats; but I also try to teach them that respect and competition go hand-in-hand. Practicing these skills out on the lake helps them build confidence in themselves and an understanding of their own limits. It builds on common values to strengthen a community. A healthy recognition of that fact is what makes the bonds built at camp so strong. It is what makes us a community.